Rubbing shoulders with British aristocracy and the upper echelons of society, including our much loved Queen Elizabeth II, isn’t a normal Thursday for anyone!! 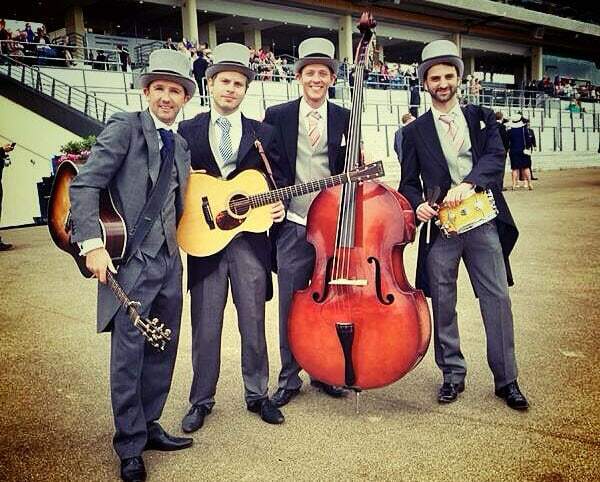 Who better than the Diamond Boys, dressed in their finest, to play the much anticipated and world famous Ladies Day at Royal Ascot! Opening the day by playing at the main turnstiles, the press soon caught on and the Diamond Boys became the soundtrack to the day! An electric atmosphere created by the 80,000 visitors, the boys had their work cut out for them! They roamed the lawns and bars, visited boxes and generally entertained anyone who asked for an impromptu burst!